Paper Couture Stationery: Save the date! I've done a fair number of wedding cards before but I knew from the get go, this would be a fun one to design. Carlin and Tasha came to me to get their wedding stationery designed. 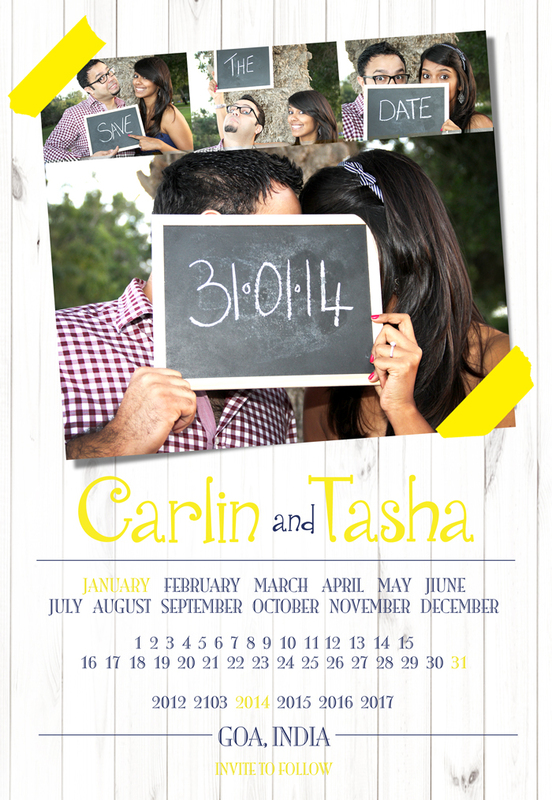 We've just done the save the date card so far and I absolutely love it if I have to say so myself. They're having a destination wedding and wanted the invite to reflect their personalities - fun, simple, humorous and very much in love!